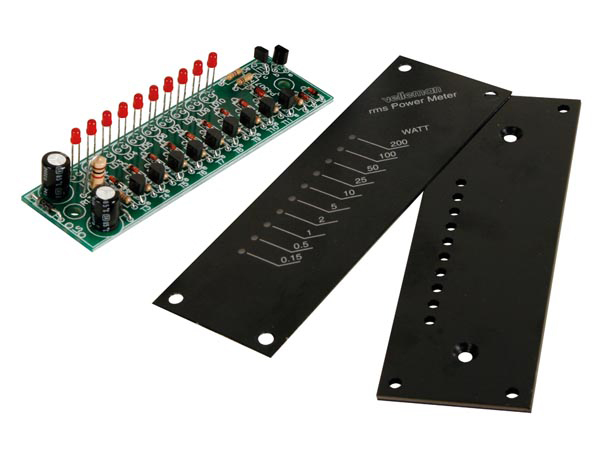 10 LED scale, up to 2000Wrms power measurements. Does not need a special power supply, because it is supplied directly from the speaker output. Ideal for car audio systems and PA systems. Also usable for bridged amplifiers. The unit can be used both horizontal and vertical. The kit comes with a front panel and four attractive front stickers, for the different scales.